KAMPALA – Mr Sudhir Ruparelia who is in semi-retirement has vowed to spend some of his time to mentor new generation of business leaders in Uganda. The chairman of Ruparelia Group of Companies was speaking after he was recognized by the East Africa Book of Records Secretariat for his visionary leadership. He said he wants to dedicate time to tour universities in Uganda to share his entrepreneurial and business experience with students to help them learn how to make money on their own. “These tours I am about to do in different universities, I need business students to stop fearing starting business. People always fail when they give in to fear,” said Sudhir. The Executive Secretary; East Africa Book of Records Secretariat Simon Kamau, while addressing guests at the Award ceremony at Kabira Country Club, described Dr Sudhir Ruparelia as a “role model”. “His experience in Business Leadership has inspired many people in the East African region and that is the reason he is scooping this award,” Mr Kamau said. Mr Ruparelia took the coveted prize for leadership of markets such as Agro-processing, Hotels, insurance, Banking, Education and Real Estates among others. Kamau said Ruparelia’s success as an entrepreneur is a result of a humble life and great vision, which the young entrepreneurs in Uganda need to emulate. Uganda is one of the countries where most youths start a business but very many fail along way largely due to poor management or, sheer lack of resilience and patience. With such talks, some youth might pick lessons on how to become the next generation of business leaders in Uganda. Already, Sudhir has handed over the leadership of his companies to his three children, who he monitors and mentors, and the businesses are growing by leaps and bounds. 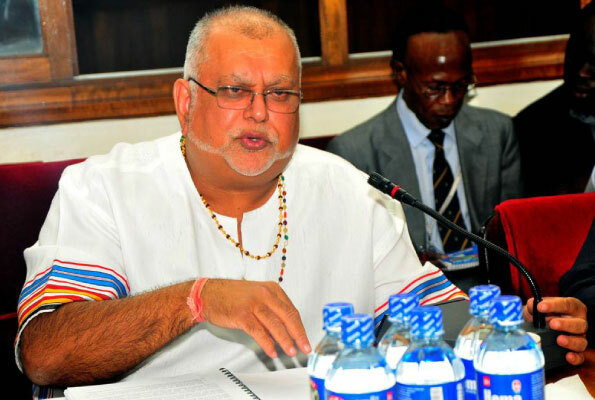 Like Mr Kamau, said, Sudhir’s “businesses have led to improved livelihoods in Uganda as a result of the vast employment opportunities available within his empire,” the Kenyan said. Chief guest Captain Mike Mukula, praised Ruparelia, saying he is a self-made entrepreneur, who has risen to greater business heights as a result of straightness.